What's up everyone, I have something very cool for you today! 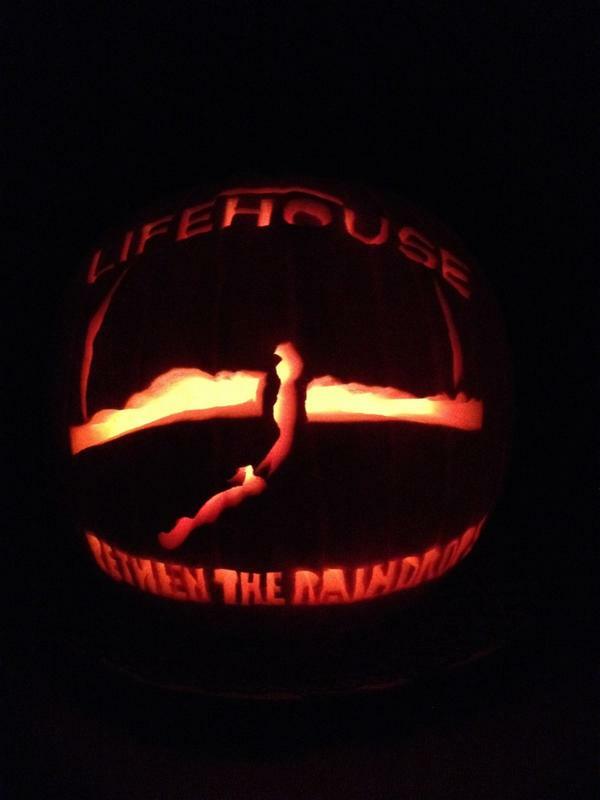 Tina, on twitter, posted this awesome picture of her "Between the Raindrops" pumpkin carving! Just in time to get in the Halloween mood! Hey guys! I have two pretty hilarious things for you to check out. The first one below is something that dates back to when LifehouseNation was still around, and there was a thread created by Christy called LaughHouse Captions. Christy has kept up with these pieces of gold, even after LifehouseNation's demise. Click the link next to the picture, where it will direct you to the LaughHouse Captions Facebook. Also, follow them on Twitter. So I was bored one night and decided I'd clean out documents on my computer and organize things a little bit, when I came across this story I think I wrote for one of LifehouseBVB's contests, about when Jason was briefly on twitter.